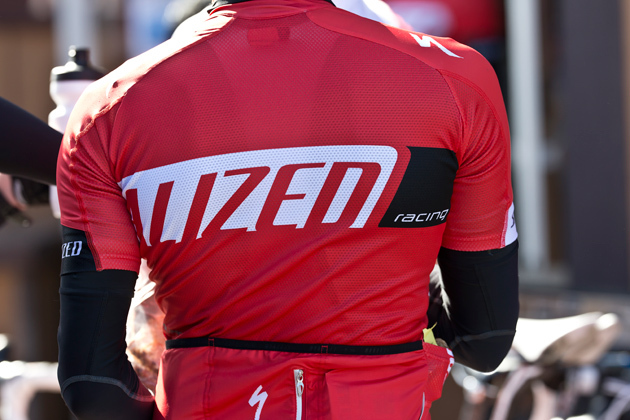 By the company's own admission, apparel has always been a bit of a weak spot in Specialized's ever-expanding product lineup. It makes sense then that the Big S, never exactly a company to rest on its laurels, brought in Peter Curran two years ago as their new apparel product manager to essentially throw out their current product line and start from scratch. Ask Chris Riekert, one of Specialized's PR chaps, about the old line, and there's really not much to say. "It was clothing, and it had an 'S' on it." Modeled along the lines of their performance-bike offerings, the new apparel line features two different categories aimed at two distinctly different riders—something the folks at Specialized are quick to call "experience-specific design." And while, yes, it's still clothing and it does indeed have an 'S' on it, the similarities end there. 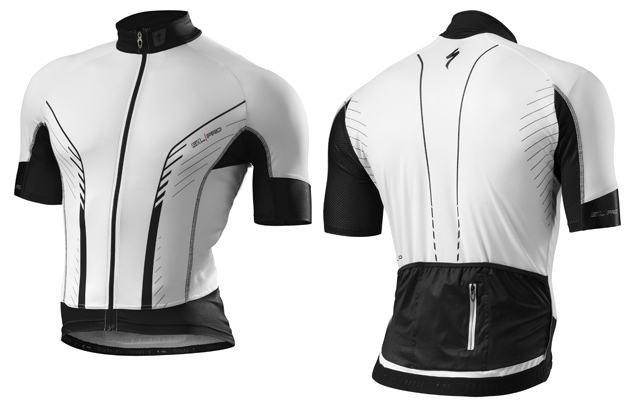 Their SL line, aimed at the Tarmac-riding racer, features a performance (that's apparel-speak for form-fitting) fit, and slimmer-profile chamois. The RBX line, targets, you guessed it, the Roubaix-riding über-enthusiast who hammers out mile after mile. With features aimed at high-mileage riding—like big cargo pockets and a slightly less form-hugging fit, and some more aggressive "chamois tuning" to provide a bit more cushion for your pushin'—on the pedals that is. Speaking of chamois, those particular pads were the subject of some extended R&D efforts. Countless prototypes and plenty of computer modeling were used to dial in the fit and function, rather than flipping through a supplier catalog and waiting weeks for prototypes to come from Asia. 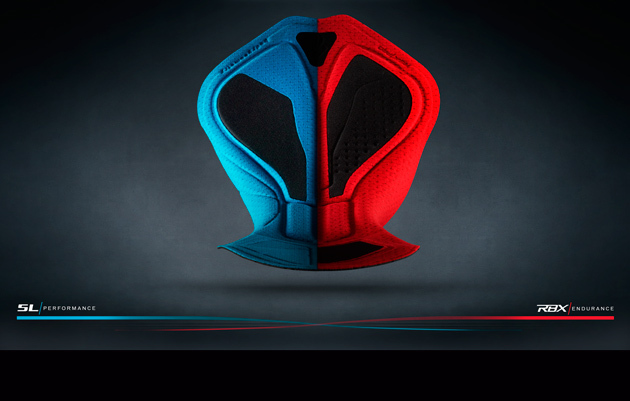 Complex pressure mapping analysis was also used—in conjunction with Specialized’s Body Geometry Fit philosophy and corresponding technologies to create a chamois that was not just tuned to the rider, but also to the saddle. Well, with Curran at the helm, that’s exactly what happened. Designed around their BG saddles (but Curran is quick to point out it works fine with other saddles as well) the chamois design focuses on four areas. The largest amount of pressure the rider experiences is processed through their sitbones, and accordingly is a spot where focus is worthy. In the RBX chamois, this focus manifests itself in the form of gel inserts, which according to Curran, is the best material out there for dispersing the pressure. In SL guise, the BG chamois is a bit more minimal, instead using more traditional multi-density foam, which allows for a lower profile. To ensure perineum comfort, Specialized focused on getting the right taper profile, to help disperse pressure as well as prevent any “migration” of the chamois during hard efforts. By tapering the edges of the chamois down to a very thin profile, potential chafing is greatly reduced. The chamois is well-known for creating its own little microclimate, and to manage it, Curran and his team focused on getting as much airflow into the region as possible, through fabric choice and the use of carbon yarns, which are anti-static (and therefore prone to less friction and the resultant heat build-up) and anti-bacterial—two properties that you certainly want in those sensitive areas. In an effort spearheaded by Sinyard himself, every garment in the lineup features what Specialized is calling Defelect UV, or sun protection built right into the garment. Through using fabrics that feature a UPF or Ultraviolet Protection Factor of 30 or greater, every piece of clothing in the lineup has received approval from the American Skin Cancer Foundation. Sure, Specialized threw quite a bit of money at a perceived problem (an admittedly sub-standard apparel line), but did it fix it? To that I answer: Yes. 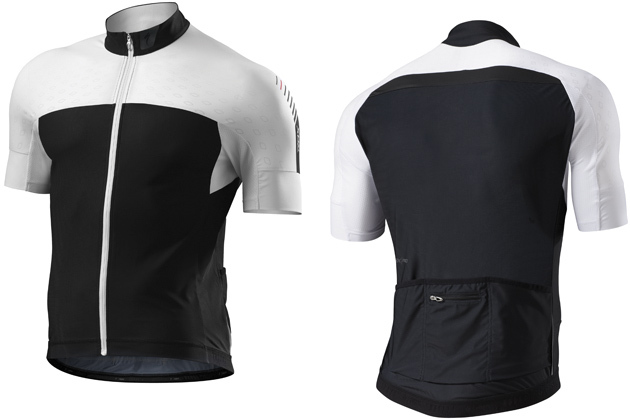 While still not quite at the level of, say, Castelli’s highest-level offerings (in my not-so-humble opinion, but remember there’s a fair bit of personal preference at play in these matters) the apparel does its job—and quite well at that. And to consider the fact that the highest-level Pro bibs in both the SL and RBX lines toe the line with a price tag of $175, well below the 250 buckaroos a pair of Body Paint bibs commands, you’re looking at a veritable contender in the high-end apparel market. At the very least, it’s worth a trip down to your local Specialized dealer’s fitting room.